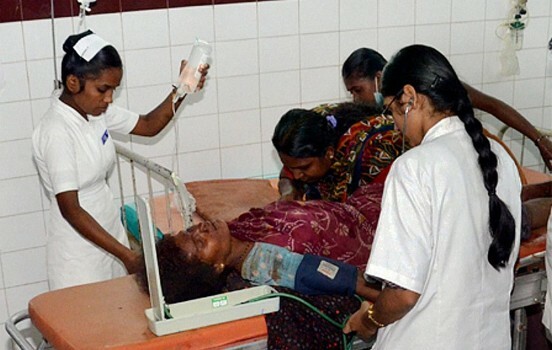 A woman injured in a blast is treated at a hospital. 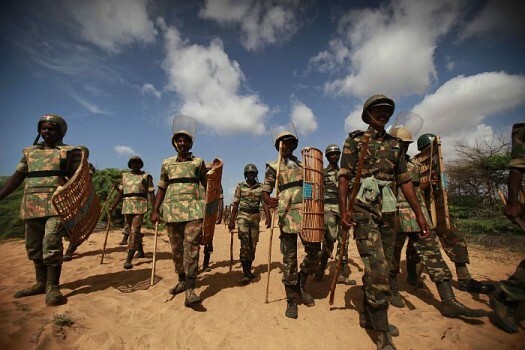 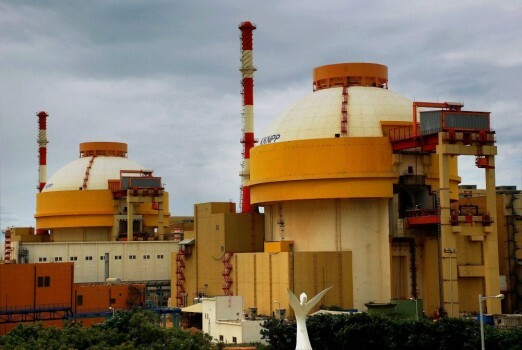 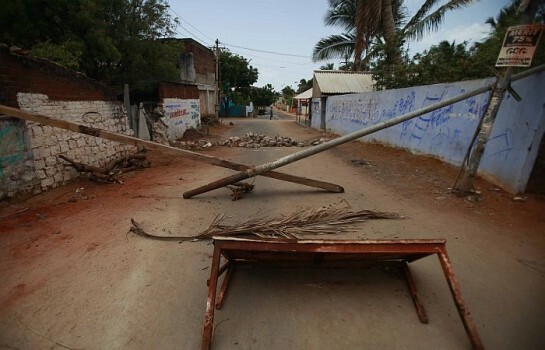 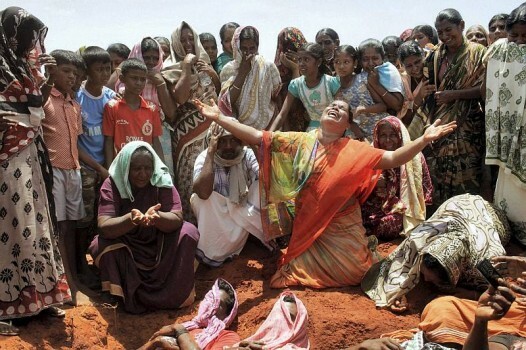 The bomb blast killed 6 people in Idinthakarai coastal village, close to Kundankulam Nuclear Power Plant. 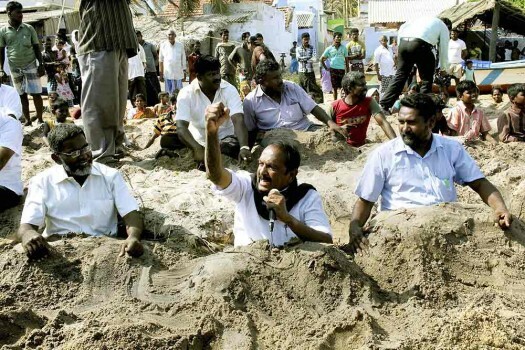 People burn French flags during a protest against the visit of the French President, in Kudankulam. 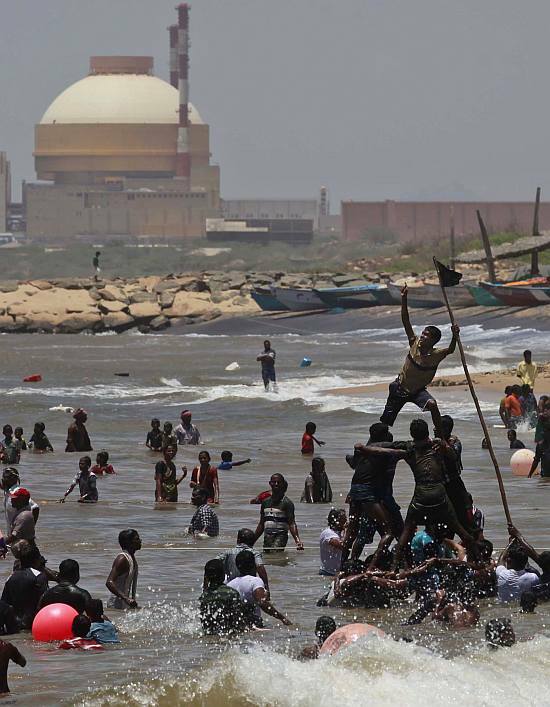 Activists and residents stand in the Bay of Bengal waters as they protest against the Kudankulam Atomic Power Project (KKNPP) in Kudankulam. 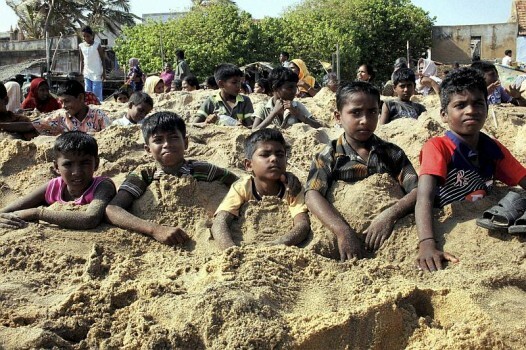 Children take part in a 'graveyard' protest against the Kudankulam nuclear project at Idinthakarai in Tirunelveli. 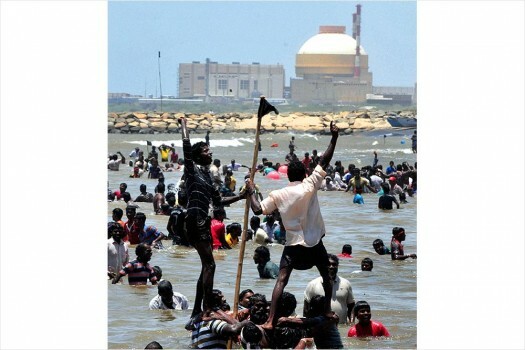 Activists and villagers during a protest against Kudankulam nuclear power project (KKNPP) at Idinthakarai, Tirunelveli Districrt in Tamil Nadu. 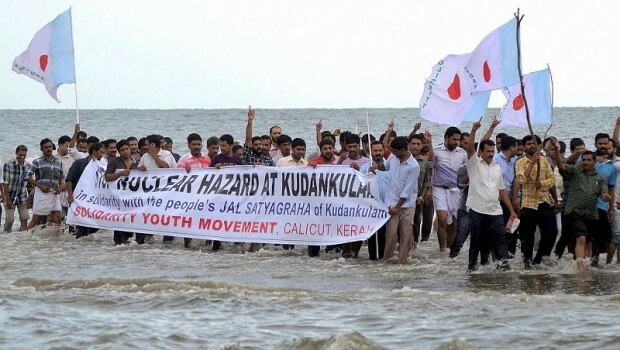 Solidarity activists protest against Kudankulam Nuclear Power Project at Kozhikode beach. 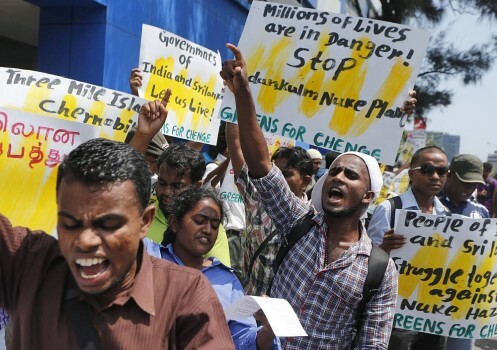 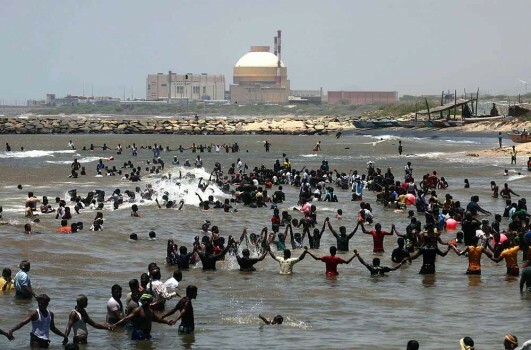 Activists and residents stand in the waters of the Bay of Bengal and shout slogans as they protest against the Russian-built Kudankulam Atomic Power Project in Tamil Nadu. 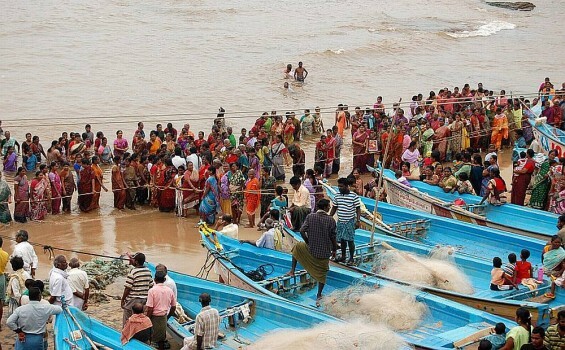 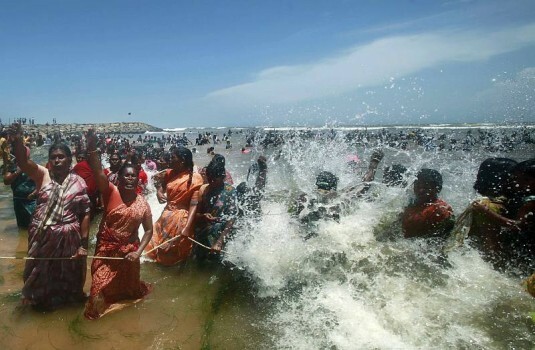 Activists and residents stand in the waters of the Bay of Bengal as they protest against the Russian-built Kudankulam Atomic Power Project in Tamil Nadu.